Aprille's SoCal Gardening ✿❀✾: Plant Those Daffodil bulbs! 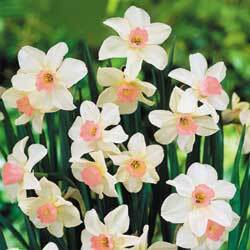 varieties I wanted. 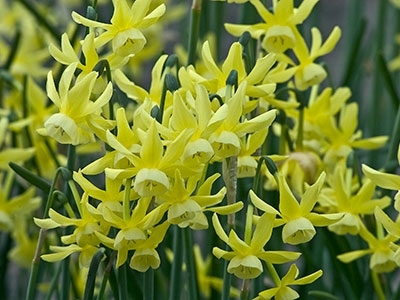 Many you can't find at your local nursery. I layed them all out with tags first. 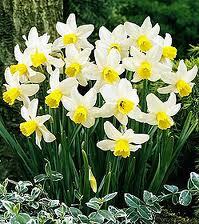 I think the rule in planting bulbs is to dig the hole 1 1/2 or 2 1/2 times the size of the bulb. Always plant bulbs point up, that is the growing point. I planted Bell Song with the little pink cup. Dickcissel has the little white cup. Jack Snipe is short and white with a yellow cup. 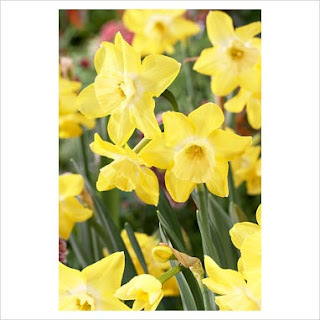 Tete a Tete is super cute at only about 6 inches and all yellow. 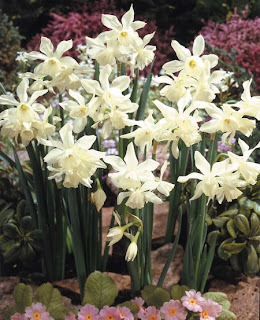 I adore Hawera(little yellow blooms on 10 inch stems) and Thalia(all white) because they are the triandrus type of Narcissus meaning that they make sometimes 3 blooms per stem. Most of the bulbs will naturalize for us here in SoCal. Hawera is iffy but I love it so! 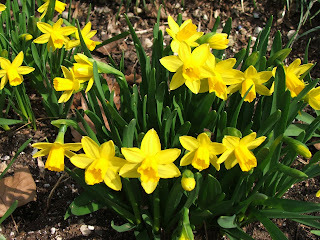 So go out and plant some Daffodil bulbs and we'll all have beautiful flowers in late Winter early Spring. Let's hope we don't get that hot spell in Feb that we usually get.